A complete system connects your appliances and electronic devices to your telephone / tablet / computer, allowing you to turn devices on or off, program customized notifications and change device status - from anywhere. Includes central controller and Wall Plugs with power metering feature are plug & play, extremely compact, remotely controlled outlet adapters . No installation tools or electrician. Just take it out of the box, put it into an electrical outlet, and plug in any electrical device. The user-friendly interface ensures an easy and intuitive operation . 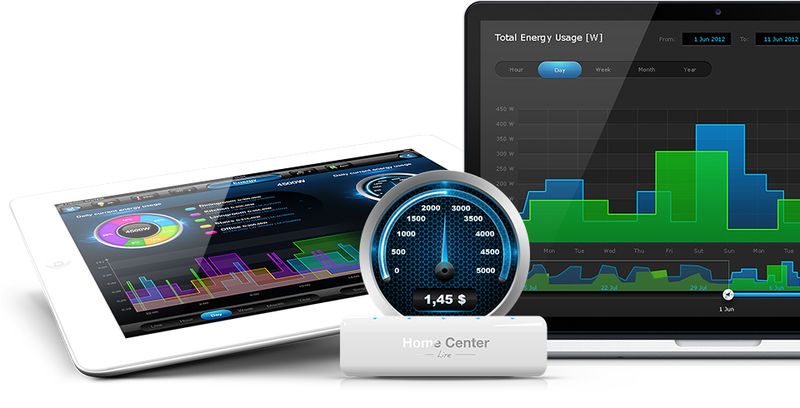 Real time energy monitoring . The smart system is designed to inform you about damages to your office . Too-high temperatures and/or humidity can cause a variety of issues, including peeling paint, mold, and more. These problems can be alleviated by controlling fans and air conditioning, dampers, humidifiers, and the like. Leak detectors and fire/smoke detectors can notify you of they detect dangerous conditions in you office. The system connects your office to your telephone / tablet / computer, allowing you to monitor the temperature, movement, check whether doors/windows are closed or not, and constantly is looking for floods and smoke/fire. This is a switch plug that can be placed between a wall outlet Schuko and electric devices, plugged in by cord. It can switch all electrical loads up to 3500 W. The device is IP 20 rated and can therefore only be used on dry environments. Switching is controlled wirelessly using Z-Wave or locally using a toggleing button. A blue LED indicates the switching status. An automatic 'Off' function and programmable switching behavior make the device a very flexible tool for the inhouse lighting. Zwave (z-wave) sensor for doors and windows in different colors. Fitting snugly in your hand, Minimote has big features hidden within its slim and subtle design. Whether it’s to control a single Z-Wave device or your entire home automation system, you can control whatever you want whenever you want to with this sleek remote in your hand. The radio-controlled Roller Shutter 2 works with motorized roller blinds, venetian blinds, awnings and gates. Switch on/off two independent consumers. Managed by smart key, remote control, computer, smartphone, tablet or automatically: from other devices (smoke, flood, door / window sensors, etc.) or "scenes". The Philio Insert Switch allows control of two independent loads both wirelessly via Z-Wave and locally utilizing a traditional wall switch. Thanks to its calibration technology the PAN06 cannot only be used to switch AC devices ON and OFF, it also works perfectly with many kind of light, e.g. incandescent, fluorescent and LEDs. The Smoke Sensor is an ultralight, perfectly designed battery device that uses both photoelectric and temperature sensors for maximum protection from flaming and smoldering fires. This is a switch plug that can be placed between a wall outlet Schuko and electric devices, plugged in by cord. It can switch all electrical loads up to 2500 W. The device is IP 20 rated and can therefore only be used on dry environments. Switching is controlled wirelessly using Z-Wave or locally using a toggleing button. A blue LED indicates the switching status. An automatic 'Off' function and programmable switching behavior make the device a very flexible tool for the inhouse lighting. FIBARO CO sensor . The carbon monoxide sensor may operate as a stand-alone device. The wireless camera can help you keep an eye on what matters most when you are away from home & office.You can also connect with your family members or pets remotely via smartphone or tablet. Fast and reliable Z-wave controller, compatible with 900+ certified Z-wave devices; Apps for iPhone , Android and Microsoft. Please, contact us and we can inform you whether per-programming of your system is possible . Z-Wave controllable door lock with a keypad powered by 4 batteries. Primary used indoors. 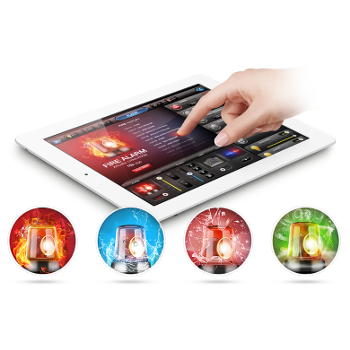 The Home Center lite is a building management system accessed through a browser-based graphic interface or via the native mobile app. It manages FIBARO’s Z-Wave devices and other Z-Wave certified products. 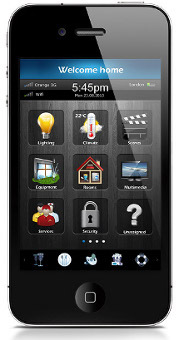 The Home Center 2 is a building management system accessed through a browser-based graphic interface or via the native mobile app. It manages FIBARO’s Z-Wave devices and other Z-Wave certified products.